The images below are production stills and are not taken from the disc, which only contains limited video menus for disc navigation. As another Pure Audio Blu-ray by the Norwegian label 2L we get to hear the recording in Hi-Res surround sound in different flavors. Without the need for a display one can switch between 5.1 in 24/192kHz, 7.1 in 24/96kHz (both losslessly encoded with DTS-HD Master Audio) and LPCM 24/192kHz in stereo. 5.1 is the default track (red) and by pushing the green button on your remote you can switch to 7.1, yellow will select stereo. Track numbers are directly accessible via the numeric keys and of course by selecting the desired track on the menu. The SACD features the 5.1 and the stereo mix in DSD plus a regular CD layer. 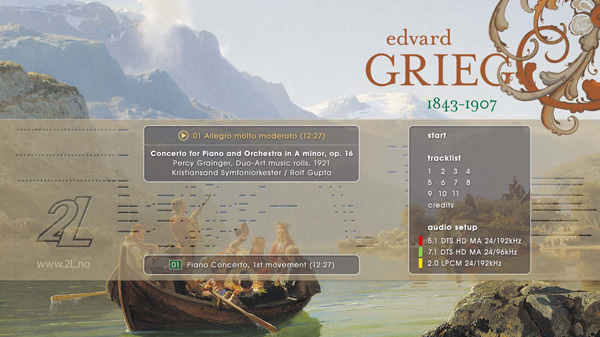 Edvard Grieg only finished one concert for piano and orchestra, the ‘Piano concerto in A minor, Op. 16’. It ended up being one of the works he was most famous for and it has been recorded by a great number of pianists. One of them was Percy Grainger, an Australian born composer and pianist and personal friend of Edvard Grieg (they first met in July 1907, shortly before Grieg died). What sets this recording apart from all the others is the instrument that was used: a Duo-Art pianola. 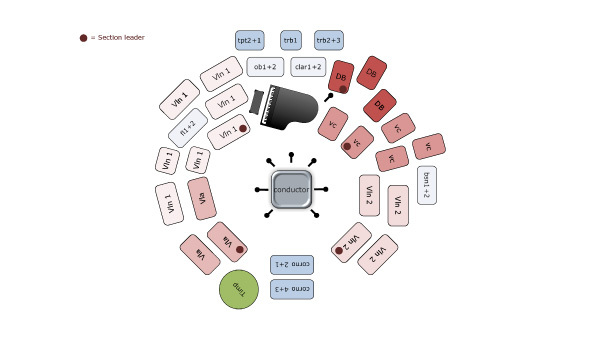 People familiar with composing music on the computer know about MIDI (you don’t record the actual audio with MIDI, only the control data that can be played back using any MIDI sound source). Working with a Pianola is very similar. The actual notes, the velocity (dynamics) and the use of the pedals are recorded on rolls and can be re-played by the pianola automatically, not unlike a computer can play back a MIDI performance. Grieg was very fond of the young Australian musician: “I had to become 64 years old to hear Norwegian piano music interpreted so understandingly and brilliantly. He breaks new ground for himself, for me and for Norway. And then this enchanting, profound, serious and childlike naturalness! What a joy to gain a young friend with such qualities!” 13 years later Grainger records and helps edit his version of the piano concerto in A minor. It is not easy to rate such a performance. First, the musician in this case has been validated by the composer and second there are a few fundamental problems with a whole orchestra playing to a machine. Percy Grainger was without a doubt a very good and virtuoso pianist and the Kristiansand Symphony conducted by Rolf Gupta play on a very high level. 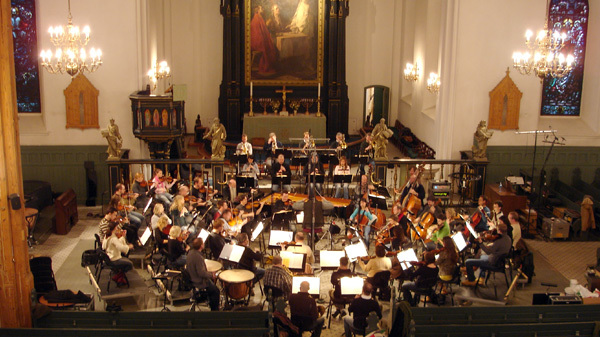 However, there is at times a disconnect between the orchestra and the piano; in the third movement they are partially not playing together in time. Grainger chose some abrupt tempo changes and drastic ritardandis making it difficult for the orchestra to keep up. Personally I prefer the more direct approach of Leif Ove Andsnes, Grainger’s version feels a little awkward (and it doesn’t groove, to use a modern day term). For the solo pieces and the sonata a different kind of pianola was used. 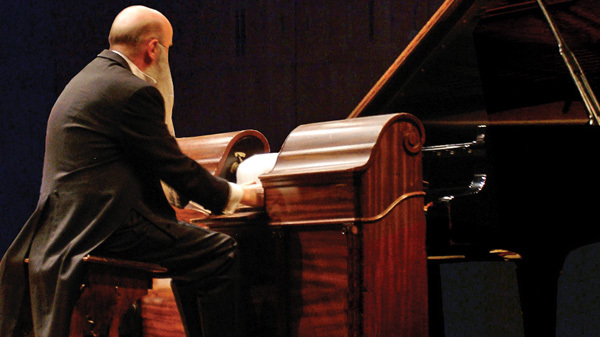 The tempo is controlled by a foot pedal making the pianolist Rex Lawson a co-performer. I am not a dogmatic follower of ‘the composer’s vision.’ I believe any work through the hands of a talented musician can be a vehicle for something individual and new, sometimes even outdo the original intent. But still, hearing actual performances by Grieg is a very special experience. This release contains only limited video menus for disc navigation. One of the most difficult aspects of recording an orchestra is to find the right balance between direct sound and reverberation. Many recordings have failed in either sounding too close and thus small and claustrophobic or more often, the performance is drowned in too much ambience. 2L records in large venues to avoid close reflecting walls, allowing for an open and more intimate sound. As usual the result is exceptional. The orchestra has all the right qualities from lush string sections to powerful tutti hits, transforming your living room into a concert hall with you, the listener, right there in the middle. Unfortunately the same cannot be said about the piano. It blends in well during the concerto, but the solo pieces and the sonata suffer from a strangely restrained sound. Comparing this recording to the spectacular ‘Mozart/Grieg vol. II’ piano duo Pure Audio Blu-ray, it becomes even more evident that something is missing. Bass is very clear and the highs are silky smooth, but it does not have the same openness and feels blurry in the mid frequencies (Mozart/Grieg is more transparent despite 2 pianos playing). It’s difficult to pinpoint the reason for this; it could be the producers intent to make the piano sound more ‘authentic’ or maybe trying to remove some of the noise the pianola-roll creates had an effect on the sound (the rattling sound of the roll is still audible during the solo pieces and the sonata). 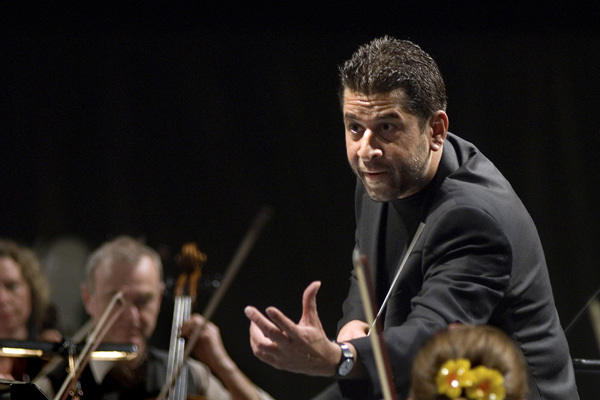 During the concerto the noise is mostly masked by the orchestra and is not an issue. A good pianist not only plays well, he can also shape the sound of the piano. No two pianists sound alike even if they play the same instrument. So I can only assume that part of the Grainger and Grieg ‘sound’ got lost in the process (after all it’s not the same grand piano that was used to record the rolls, and the hammers and the mechanics surely react differently than the original). But most if not all of these aspects are consequences of the method used and not the result of poor craftsmanship. It is by no means a bad sounding disc, despite the issues mentioned above. The 5.1 mix (as could be expected by now) is terrific. I think this is the first music disc that actually has a discrete 7.1 mix, although ‘only’ in 24/96kHz. Unfortunately I’m not setup for 7.1 yet, so I cannot comment on the use of the back surrounds, but even with only a phantom back-center the 360° imaging is flawless. People not very fond of surround music could be irritated by this mix, though. With a full symphony there are always passages where not every section is playing. This can cause an unbalanced surround image (when for example the violas are tacit); but the ambience is always present, so in a well setup listening room this is not an issue, since the 360° image stays intact. There are no supplements on this release. 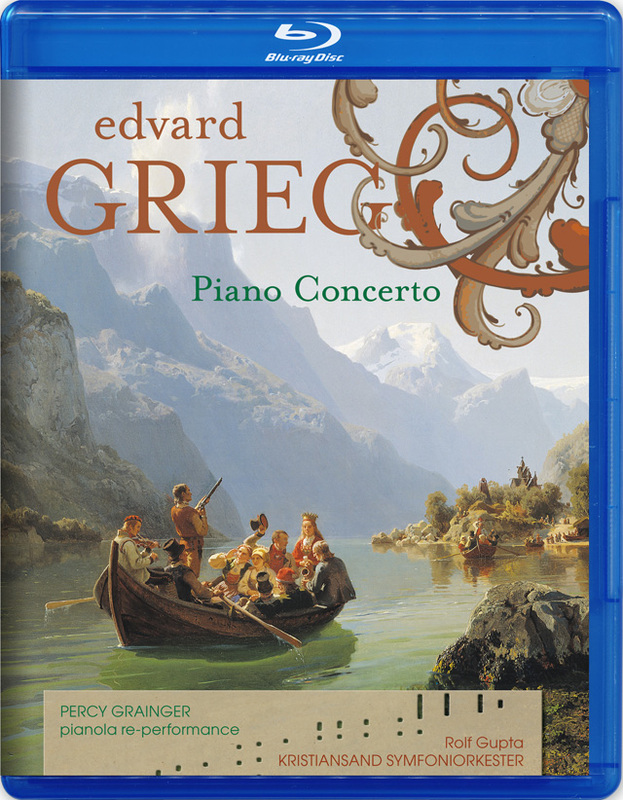 ‘Grieg Piano Concerto’ is an important release. Hearing the performances of Grainger (which the maestro in his days approved) would be reason enough to get this disc, but you also have the chance to hear Grieg himself play on a modern day recording. Unfortunately the sound quality of the piano is not as high as expected from a 2L release, and the pianola noise can be distracting. But by recording these historically important performances 2L saved a part of music history, in Hi-Res surround and stereo. Recommended.